Because their asylum applications have been rejected, two young Eritreans are not allowed to work. The government says it has no room for maneuver. The Obwaldner CSP had submitted an interpellation in this case. Despite the clear legal guidelines, the signatories consider government involvement necessary. They therefore want to know from the government council whether it is prepared to comment on the current situation and what opportunities it sees to work for the two apprentices. The government waves off, however. "I can not and must not override the legislation and the last-instance judgments of the Federal Administrative Court," says Obwalden's economics director Daniel Wyler. Since 4 January 2019, the two refugees no longer have a legal right of residence in Switzerland. But this needs it, so that the two might work. The Government Council recognizes that the two individuals have actively sought and eagerly pursued vocational training, says Daniel Wyler. He is also aware that they now fall into emergency aid, because the non-approved asylum decision and the Wegweis a work ban is connected. This has cost implications for the canton and the community and also negative effects for the employer of the two Eritrean nationals. The case also employs the Obwaldner CSP National Council Karl Vogler. He is in contact with the State Secretariat for Migration SEM. "We'll see if there's a short-term solution that will allow the two men to complete their apprenticeship," says Vogler. In the spring session, he wants to submit an initiative that requires the Federal Council to find a solution in such cases. The affected men have been living in Switzerland for about four years, started their training in the summer and have employment contracts until 2020 and 2022 respectively in a metal construction company in Kägiswil. Emergency aid instead of apprentice pay: Two young Eritreans are not allowed to continue their vocational training in the canton of Obwalden after their asylum applications have been rejected. A petition had been taken for the two, the government dismisses. The Federal Administrative Court had dismissed the asylum application last instance, so the two men no longer had since January 4, 2019 a legal right of residence in Switzerland. A work entitlement is, however, linked to this requirement, said the government council on Friday. The canton could not issue a new employment permit without violating the law. 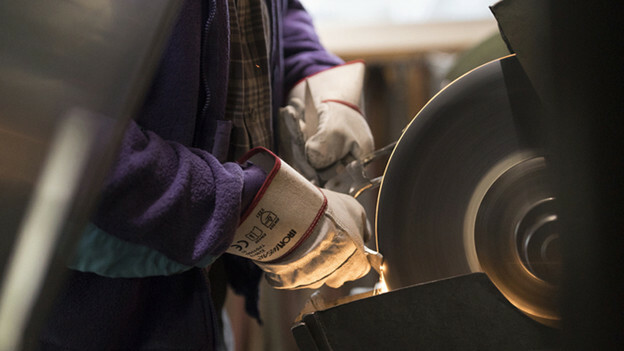 A "committee for human dignity in asylum" wanted to reach by means of a petition that the two Eritreans can finish their apprenticeship in a metal construction company in Kägiswil. Those affected have been living in Switzerland for about four years, started their training in summer and have employment contracts until 2020 and 2022, respectively. The Government Council recognizes that the two persons have actively sought and eagerly pursued vocational training. He is also aware that they now fall into emergency aid, because the non-approved asylum decision and the Wegweis a work ban is connected. This has cost implications for the canton and the community as well as operational effects for the employer of the two Eritrean nationals. Nevertheless, the government must abide by the rule of law and applicable laws. In the matter, the Obwaldner CSP has submitted an interpellation. Despite the legal guidelines, the signatories consider government involvement necessary. They therefore want to know from the government council whether it is prepared to comment on the current situation and what opportunities it sees to work for the two apprentices. For on the one hand a forced removal to Eritrea is not possible, because a necessary agreement for it is missing. On the other hand, according to the interpellants, it would be important to give the young men an education in order to return home.